This is used to turn the blower fan on or off and to select the fan speed. 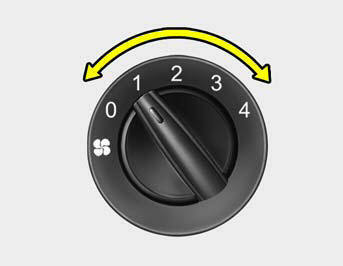 This blower fan speed, and therefore the volume of air delivered from the system, may be controlled manually by setting the blower control between the "1" and "4" positions. This is used to select fresh outside air or recirculating inside air. 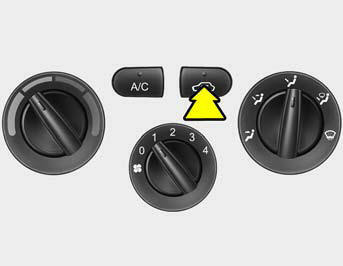 the vehicle from outside and is heated or cooled according to the other functions selected. within the passenger compartment is drawn through the heating system and heated or cooled according to the other functions selected. It should be noted that prolonged operation of the intake air system in " "
may result in the air within the passenger compartment becoming excessively dry.